The new RM650 power supply comes in a silvery, large cardboard box with a serious, professional theme. It is a very sturdy packaging and the PSU receives further protection by polyethylene foam slabs, ensuring its safe transportation. The rear side of the packaging essentially is a small manual. A table with the electrical specifications of the RM650 can be seen at the lower right corner, two graphs displaying the efficiency and the acoustics of the power supply have been plotted on the top left corner and a short presentation of its most vital features has been printed in several languages. 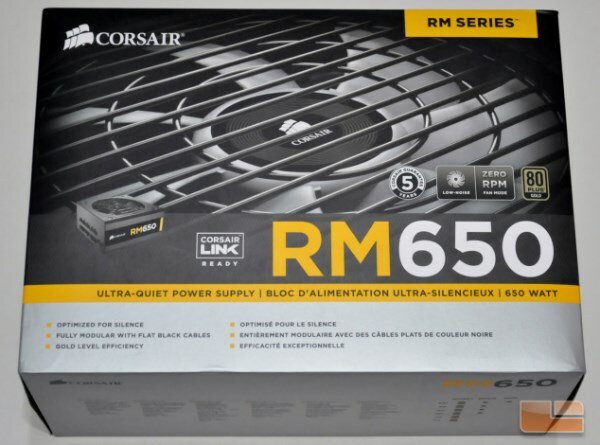 Corsair supplies little more than the bare essentials with the RM650. Inside the box we only found an AC power cable, a few cable ties, four black mounting screws, a case badge, a basic manual and warranty guide, as well as an advertising leaflet with Corsair’s most popular products. As this is a fully modular power supply, a bunch of cables is supplied alongside it but without a pouch/purse to store them in. 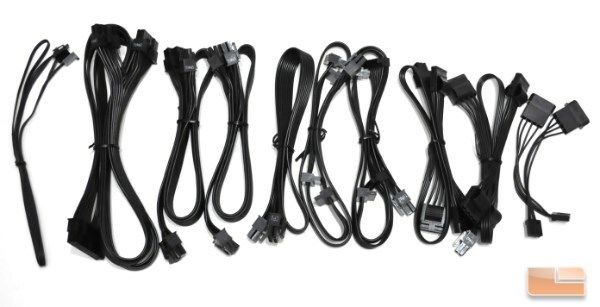 Each and every cable, including the 24-pin ATX cable, consists of all-black wires which have been bonded together, forming “flat-type” cables, without any form of extra sleeving. 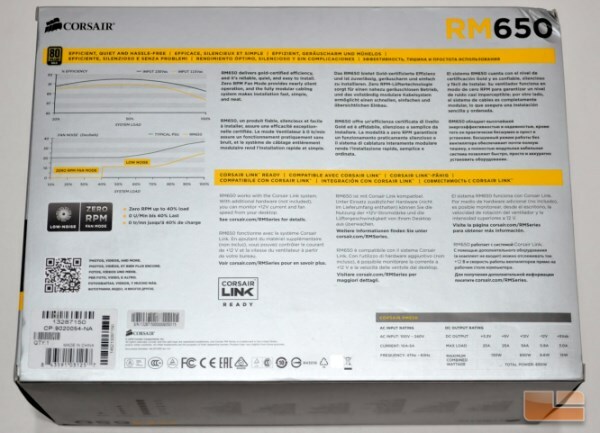 The 650W version offers four 8-pin PCI Express connectors, seven Molex connectors and eight SATA connectors, as well as the standard 24-pin ATX and 8-pin EPS connectors. Corsair also supplies two Molex to floppy adapters. 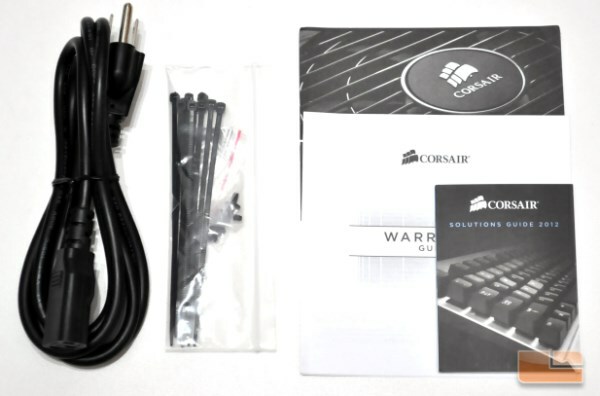 A cable is also supplied which can be used to connect the RM650 to a Corsair Link hub (not included with the PSU), allowing the users to monitor the fan’s RPM and 12V line current from their desktops.